Lately I haven’t been feeling very spiritual. 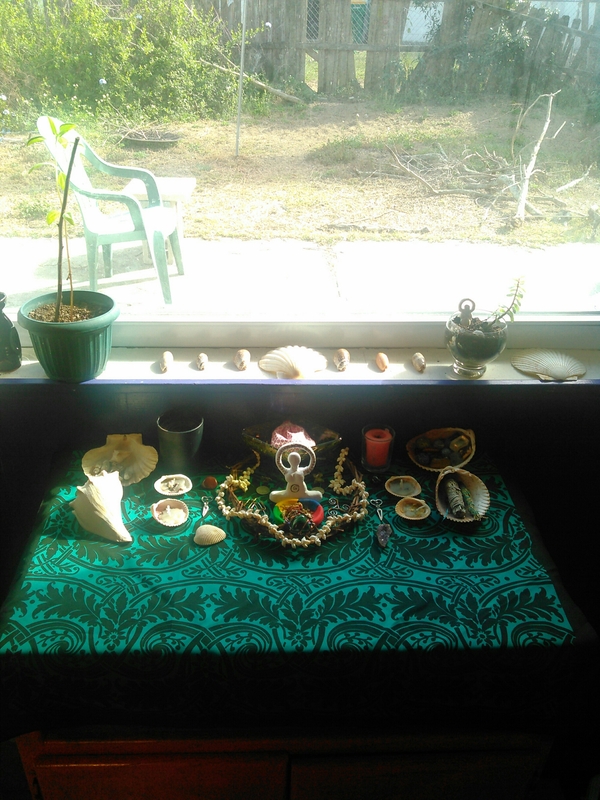 My altar was a mess, I hadn’t felt like performing any rituals or spells, and I haven’t been working on my year and a day. I’ve just feeling kind of bleh. Last night I thought I would try to get my groove back. It was the perfect night for it with the new moon and lunar eclipse. Even though I wouldn’t be able to see the eclipse here in Florida, I could still fell the energy. 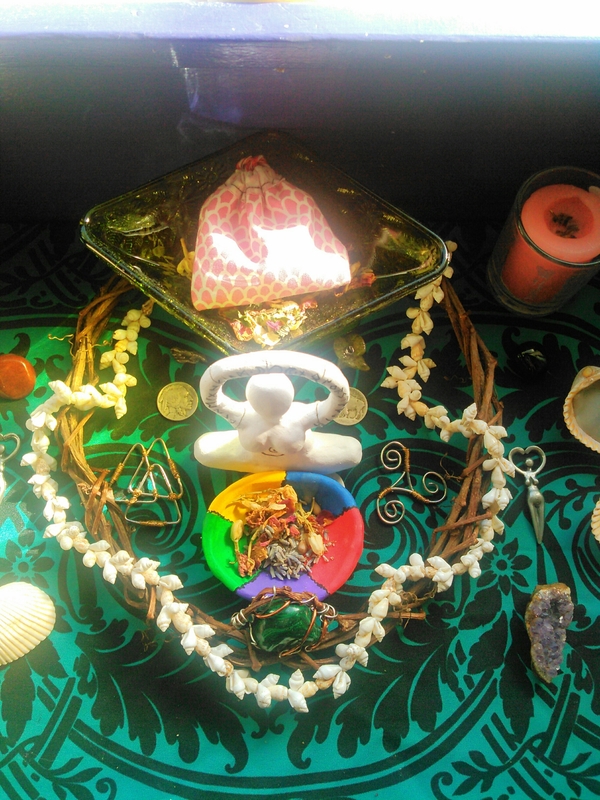 I set up my new altar design and made a sachet. 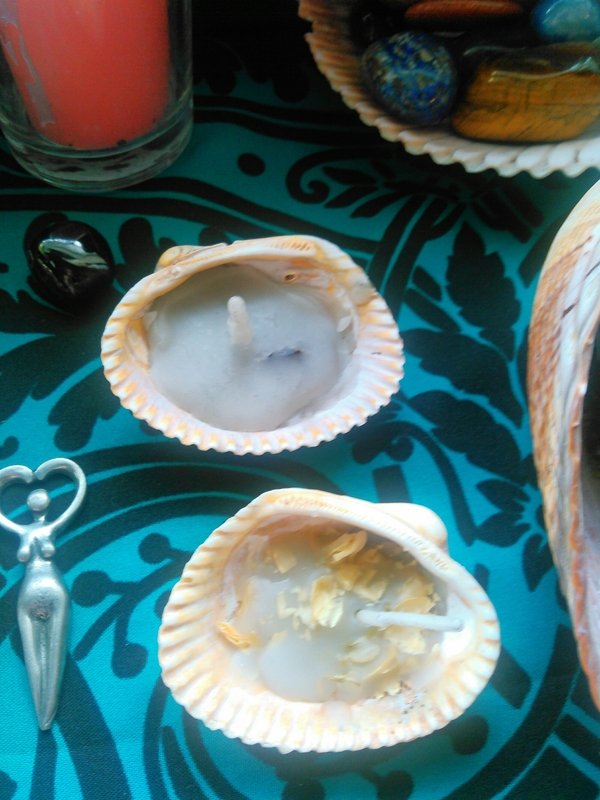 I even made some seashell tea light candles to go with my new altar set up. 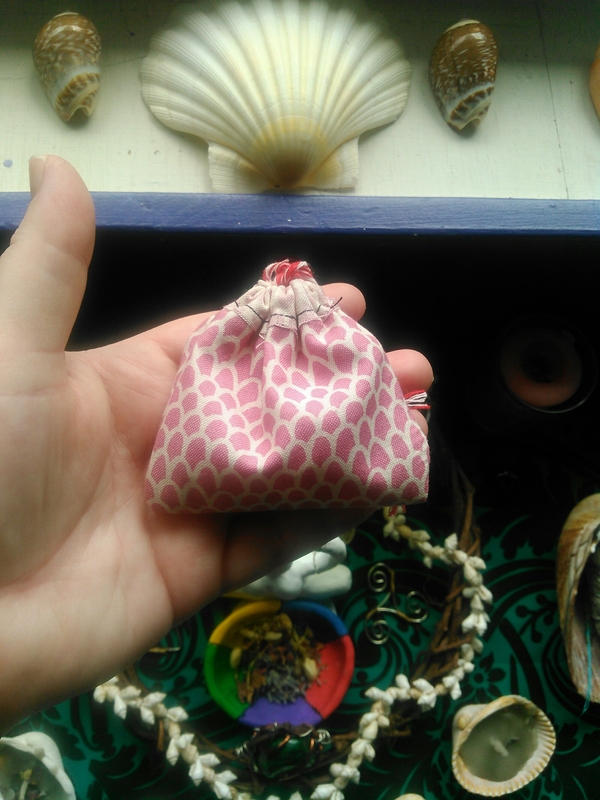 My sachet was to attract self love and the attributes I want to work in order to attract true love out my soul mate. 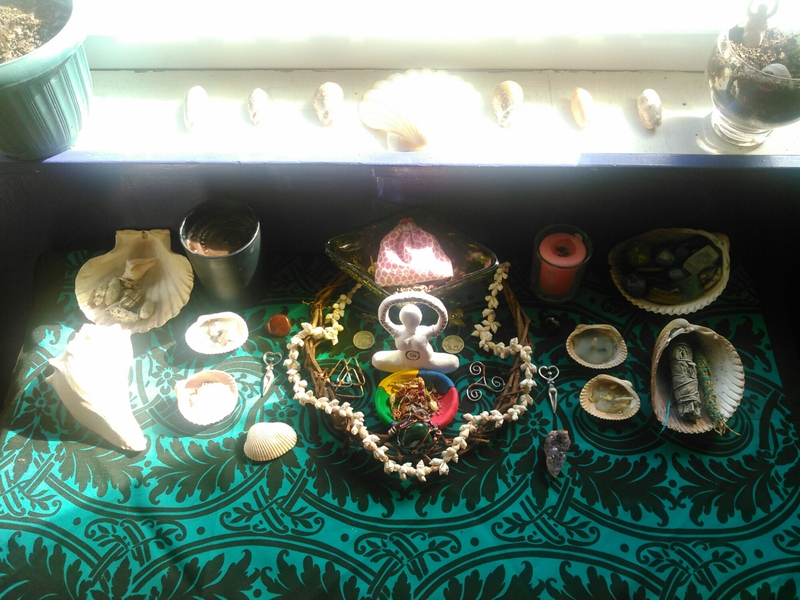 Sticking with the theme of self love/true love, I decided to set up my altar to honor Aphrodite. She was the goddess I called upon when I made my sachet. I don’t have a statue or picture of her (as she is not my patron goddesses), so I just added a bunch of seashells. 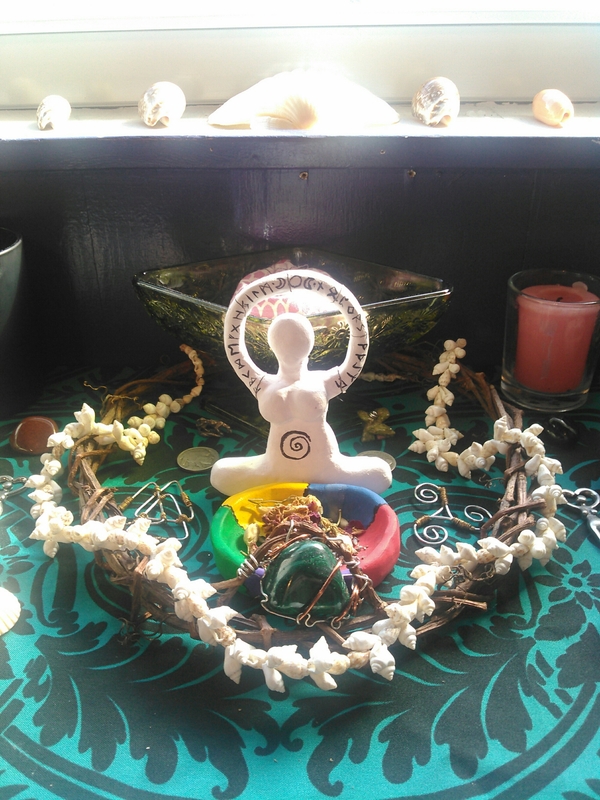 I don’t usually add Sabbat decorations to my altars. I will usually do an item or two for symbolism, but I didn’t do anything for Ostara. Easter was always my least favorite holiday and that has carried over to Ostara now that I’m practicing Paganism. What did you do for the eclipse/new moon?